Maximo World - a huge success! If you missed Maximo World, you missed out. Fantastic show dedicated 100% to Maximo - just like old times. Maybe you saw P2Insight's Mike Popovic present with North Star BlueScope's Brian Baird: Maximo + P2P: Greater Purchasing Efficiencies at NSBS. If not, the presentations will be posted shortly on the Maximo World website. And, as we often do, P2Insight raffled off an Amazon Echo dot to one lucky winner. Congratulations go to Greg Barfield, Principal Analyst, IT at Southern Company. Congrats Greg! If you weren't sure that Maximo World would be a success, and decided to sit this one out this year, make sure you sign up early for next year's show. It'll be even bigger and better! Maximo World is coming fast... will you be in Orlando August 1 to 3? This is going to be one of the biggest dedicated Maximo conferences anywhere. You'll find everything you want to know about Maximo through training, testing, vendor exhibits, and a truly impressive lineup of Maximo presentations from all industries. Don't miss Brian Baird of North Star BlueScope and Mike Popovic of P2Insight, who will be presenting on Maximo + P2P: Greater Purchasing Efficiencies at NSBS. You can catch them Wednesday, August 2 at 2:30. And be sure to check out the vendor exhibit during the welcome reception on August 1. Stop by P2Insight's booth to chat with Mike and Brian about The Order Hub. Click here to learn more about Maximo World 2017. As long-time Maximo service providers, one of the requests that we have heard repeatedly is for external contractors or seasonal workers to be able to enter data against Maximo Work Orders. No matter the industry you're in, you likely work with external organizations who provide some kind of specialized service that you don't staff in-house. And several types of companies hire seasonal workers who aren't on staff year-round. Nobody wants to pay for software licenses for occasional workers to enter data against Work Orders, and Maximo site licenses have become a bit of a golden unicorn in the past decade - you hear they're out there, but don't know anybody who has them. None of these options makes the process as simple as it could be. And it doesn't get recorded in Maximo until you have approve it. We designed this process with Maximo user organizations in mind - e-commerce isn't just about buying things, it's about communicating electronically with external organizations for the purpose of conducting business more efficiently. Now you can work with your business partners efficiently, ensure you're capturing their data accurately, and you can review it before you approve it for inclusion in Maximo. The Service Order Hub also allows you to request quotes, request service level estimates, negotiate contracts, and resolve service order disputes electronically. We publish a streamlined version of the Maximo Work Order to The Order Hub where it can be accessed by your business partners - external contractor organizations, seasonal contract workers - allowing you to collaborate online, and giving you both a fully auditable order history. Learn more about The Order Hub on our website. We love Amazon's Echo Dot - it's a prime example of the power of connecting through modern technology. So we give one away at nearly every show we sponsor... and MUWG was no exception! Congratulations to Brad VanNote, Materials Management Specialist, Supply Chain Services, Oglethorpe Power! He's our latest official draw winner. Enjoy the Echo Dot, Brad! Something else exciting happened at MUWG! P2Insight and Vroozi officially announced our partnership to bring modern e-commerce capabilities to Maximo! This partnership will allow you to leverage Maximo to reach out to the external organizations you work with, simplifying and modernizing catalog management, item selection, and purchasing goods and services from your vendors and service providers. Learn more about the combined offering of P2Insight's The Order Hub and Vroozi's smartOCI Marketplace by downloading the Powerpoint below. If you're at MUWG right now, be sure to visit P2Insight's booth to learn about what our e-commerce tools can do for your Maximo. P2Insight and our partner, Vroozi, are there to show you how we are expanding Maximo so you can work directly with your inventory suppliers and external work order service providers to order goods and services electronically, through a centralized catalog database. 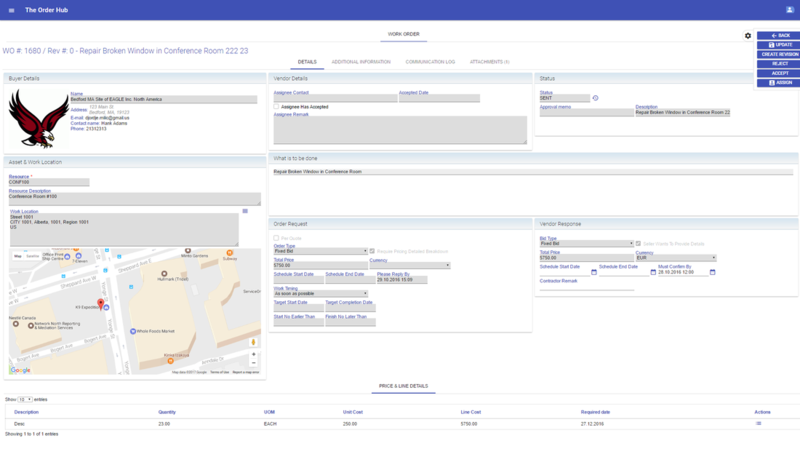 And of course, be sure to see P2Insight's The Order Hub for Maximo - We connect you to your vendors online, automate reminders, make it possible for you to negotiate and confirm order terms electronically, and provide you a complete and auditable order history in Maximo. MUWG is next week! Are you going? If you are, be sure to stop by P2Insight's booth to see what the recently-announced partnership between P2Insight and Vroozi can do for Maximo. We have partnered to bring modern ecommerce capabilities to Maximo, making it easier for you to order and negotiate with your vendors and service providers, and giving you a fully detailed order history. By expanding Maximo to allow you to communicate directly with external organizations we're making the purchasing process more efficient, more accurate, more reliable, and easier to manage overall. We'll see you at MUWG! P2Insight and Vroozi announced our partnership yesterday! We have combined Vroozi's smartOCI Marketplace and P2Insight's The Order Hub to bring ecommerce functionality to Maximo. Your organization invests a lot of time, money, and organizational dependence into Maximo. And the external organizations you do business with - vendors, service providers, contractors - invest heavily in their internal systems as well. But what do you do when you need to order something? You phone, fax, or email back and forth with the vendor. ​and you may or may not be aware of any price differences or product substitutions until you receive (or don't receive) what you need. At P2Insight we are Maximo experts, and we are e-commerce experts; we are dedicated to making it easier to collaborate with 3rd party organizations through Maximo, and to bringing modern e-commerce functionality to Maximo. Mike Popovic, P2Insight's founder and President, will be presenting information on how you can move Maximo into the e-commerce space. He will provide an overview of technological developments in procurement, explain how implementing e-commerce functionality can benefit your operations, and explain the various techniques and tools you can use to implement e-commerce capabilities in Maximo. ​View the full agenda on the CanMUG website. Brian Baird, Application & BI Development/Support Specialist with North Star BlueScope Steel (NSBS) will be presenting on the journey at NSBS to implement and achieve greater purchasing efficiences in Maximo. NSBS wanted to monitor data related to external transactions in the same amount of detail as they were able to monitor their internal approvals and purchasing processes in Maximo. After a period of discovery, they chose to implement P2Insight's The Order Hub. This presentation will discuss the process and outcomes of this project. Read the complete presentation abstract on the Maximo World website. Join us at CanMUG or Maximo World to learn more about P2Insight, The Order Hub, and e-commerce functionality in Maximo! P2Insight is proud to sponsor the upcoming Maximo Utility Working Group (MUWG) and Toronto CanMUG meetings, both taking place in May. MUWG: Join us in Tulsa, OK for the 2017 Spring Workshop. This show is always well attended, with a great lineup of presentations from Maximo clients. This one will be no exception. Full agenda now posted on the MUWG website. CanMUG: The Toronto CanMUG is attended by Maximo user organizations from a wide range of industries in the GTA. They're still accepting presentation submissions, so if you have a great Maximo story share it with the group! Check out details on the CanMUG website. 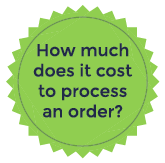 Download the Calculator: How Much Does it Cost to Process an Order? Download the calculator I put together while writing the series that examines how much it costs to process an order. I started off trying to find studies that would answer the question for me at each step of the process. But there were no studies that discussed every step, and there were no studies that presented the same numbers for any one step. I decided to base everything on active working hours to complete a task, vs. elapsed duration. So instead of the three weeks it can take to process an invoice, for example, I wanted to use the actual time spent working with the invoice (which is considerably shorter). I put together an Excel workbook based on the content of the posts in this series. Download the spreadsheet and you can punch in your own numbers to see what you're paying at each step to process an order. It'll cost you your email address, but we don't send email very often, and you can opt out any time. ​Complete the form at the right to get the calculator. Kim Waterman has been working with IBM Maximo since 2002, and is the Marketing Manager for P2Insight.